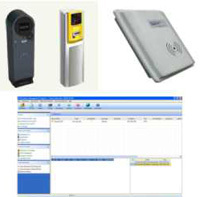 Makkays offers you peace of mind; with our latest, access control and CCTV solutions which are designed specially for accuracy and effectiveness allow you to effectively implement automated personnel access and movement across your facilities for better governance. 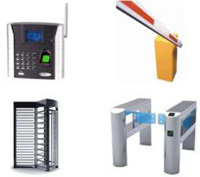 Our solutions provide protection for your business-critical processes and assets. Tracking and managing the movement of employees, contractors and visitors with our dependable solutions shall enhance the audit activity for time and attendance, incident review and emergency mustering events at your facilities. 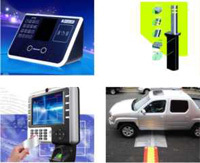 Our solutions have the highest compatibility with industry-leading surveillance products. 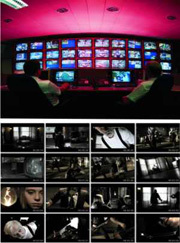 Makkays is truly a “one-stop-solution”, providing end-to-end, software and hardware CCTV solutions. We are experienced in working very closely with architects, engineers, system integrators and end users from the design/consulting phase and writing specifications through product implementation and training. We have expertise in designing, installing, integrating, monitoring and maintaining all of your fire and life safety systems. Makkays Fire and Life Safety Solutions are a positive and proven proactive step to minimizing your risk against the uncertain property loss and ensure a safer environment for your building and people. 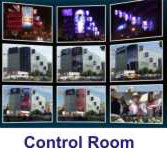 A control room is the facility where display technology is utilised to effectively allow collaborating, controlling, monitoring, and/or processing of dynamic activities or operations involving video, data, information, equipment, people, products, resources, and/or services. Makkays gives you complete control with the broadest range of products and integrated display solutions. Our Control Room Solutions includes all the features and benefits that are most critical to meet in today’s demanding control room display system needs.